The Music is Excellent, but the Service is Stupendous!! 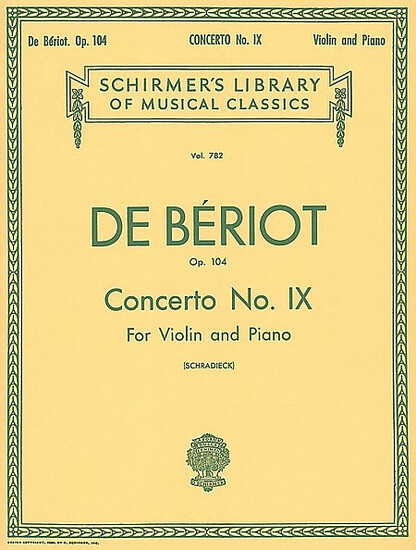 If you haven’t played the Beriot Concerto yet then you are missing out!! I could go on and on all day about this piece however I must address the excellent service! They sent it to me in 2 days! On top of the speedy delivery, when I opened up the envelope, I found a hand written note from the owner of the company thanking me for my purchase. If you are looking for some excellent repertoire and amazing customer service, look no further! Thank you Dtrings By Mail!!! I was very impressed by the timeliness of the package, the condition of the music, and the sticker and note included. Definitely planning to order music from here again.